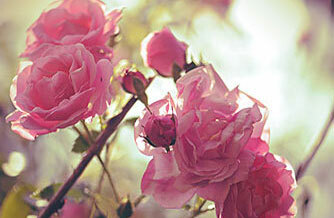 Elisabeth Sigmund played a major role in the development of Dr. Hauschka Skin Care. Even today, her ideas and developments still live on in our skin care products and the Dr. Hauschka skin care treatments. Born in Vienna, after two semesters of medical school, Elisabeth Sigmund started to create her own natural cosmetics based on medicinal plants back in the mid-1930s. After the Second World War, she established herself with her own beauty salon in Stockholm using the products she had developed. It was here that she also developed her own holistic method of skin care treatment. Her cooperation with WALA Heilmittel GmbH began after a one-year study trip to India and resulted in the creation of Dr. Hauschka Skin Care and Dr. Hauschka esthetician training. Elisabeth Sigmund was extremely proud of her twisted, pinned-up hairstyle, which she had created herself. Circa 1927. Elisabeth Sigmund was born in Vienna on 25 October 1914. Even at an early age, she developed an extraordinary fascination with the skin care products on her mother’s dressing table. 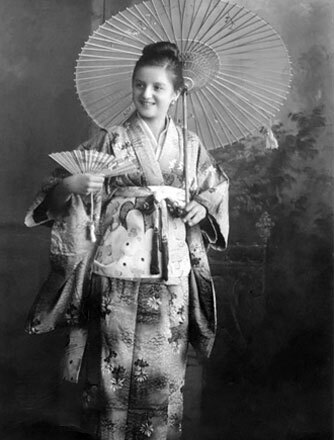 Elisabeth – shown here in her Carnival costume in circa 1927 – was an enthusiastic theatre-goer, performed in theatre productions at school and even wrote her own short plays, such as a fairy tale which her school made into a production. Elisabeth’s mother Albine Maria Resch, née Pribik, (1889-1986) was a ‘lady’. Her family belonged to the ancient Bohemian nobility Pribik von Klenov. Elisabeth’s father Dr. Ludwig Anton Resch (1886-1929) was a doctor of political science and worked in the Ministry of Culture and Education in Vienna. Christened Elisabeth Gabriela Anastasia, Elisabeth Sigmund was the second-born daughter of the Resch family. She came into the world in Vienna’s wealthy Heitzing district in an era characterised by the flair of gas lanterns, carriages and washerwomen, as well as the sound of songs from the many lavender sellers. However, it was also the time of the First World War. Although not an immediate threat to Vienna, this did cause a devastating supply crisis. Elisabeth Sigmund associated the period with her father having to go to the Italian front as a reserve officer. Coming from a wealthy family, when the War came to an end, Elisabeth and her sister Albine, who was two years her senior, learned to enjoy the finer side of life. Beautiful clothing, cosmetics and long holidays in the country were as much a part of this as literature, music and frequent trips to the theatre. It was at this time that Elisabeth developed her great love of aesthetics and the theatre. At home in the Resch household, one place that held an ever fascinating draw for Elisabeth was her mother’s dressing table. The things to be discovered there were almost endless. For example, the Kaloderma rice powder, which both daughters were allowed to use to conceal minor skin imperfections and powder their nose. Elisabeth later discovered that this was based on rice flour. She also enjoyed the pleasant feel of Dostal’s beauty pearls – small, solid pearls that could be mixed with a little water to create a wonderfully foamy lather for cleansing the face. 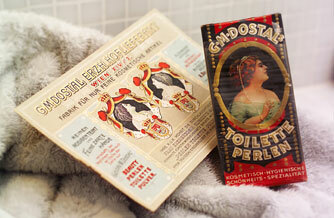 Elisabeth alternated the beauty pearls with almond paste, which came in a long, porcelain box. She also loved using a facial toner that the chemist would prepare with hamamelis, otherwise known as witch hazel. When Elisabeth Sigmund developed her own natural skin care range decades later, she remembered the hamamelis facial toner and worked with WALA to create Dr. Hauschka Facial Toner. Witch hazel and anthyllis activate the skin’s metabolism to leave it feeling fresh and revitalised. The almond paste on her mother’s dressing table gave Elisabeth Sigmund the inspiration for Dr. Hauschka Cleansing Cream. She supplemented the almond flour base with high-quality medicinal plant extracts. Marigold, chamomile, St. John’s wort, anthyllis and almond all come together to gently cleanse and revitalise the skin. 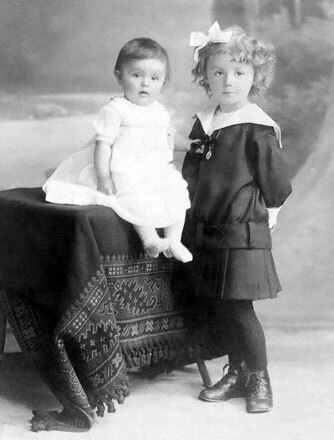 Elisabeth with her sister Albine, two years her senior, circa 1915. Every year, the Resch family spent their summer holiday in the Austrian countryside. Elisabeth helped out in the stables and with the hay harvest. Far left: Elisabeth with her mother; far right: her sister Albine and her father. In summer 1929, Elisabeth Sigmund’s father Ludwig Resch passed away at the age of 42. This was a terrible loss for the 14-year-old, who was extremely close to him. 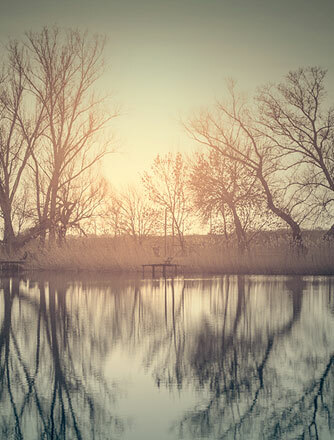 Shortly after, two people became of great importance to the rest of her life: a friend of her father, who taught Elisabeth about anthroposophy, and Karl Sigmund. 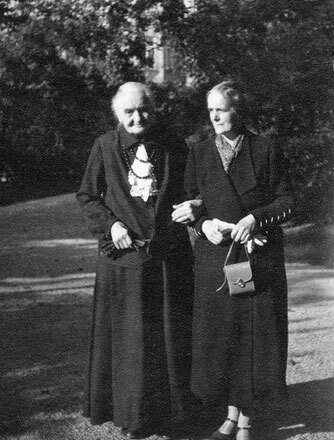 Elisabeth Sigmund (left) with her sister Albine in 1931 – the first photo that her future husband Karl Sigmund took of her. 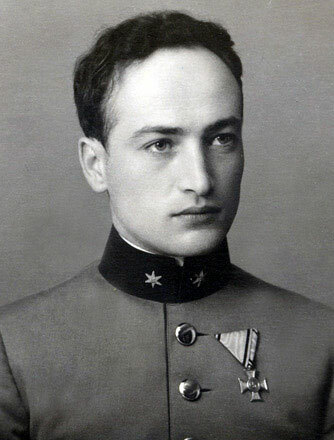 Karl Sigmund (1909-2007) graduated from the officers’ academy in Vienna Neustadt – probably to please his grandfather. He used his qualifications as an officer to start a diplomatic career as the Austrian army was then classed as a diplomatic institution. Before starting this training, Karl Sigmund had studied at the art academy in Vienna. Elisabeth Sigmund would have loved him to have kept working as an artist. During his lifetime, Ludwig Resch raised his daughter Elisabeth in an anthroposophic way, thus opposing the dominant Catholic zeitgeist, which was represented by her mother. Shortly before his death, he asked his friend Hans Erhard Lauer (1899-1979) to teach his daughter about anthroposophy as soon as she turned 17. 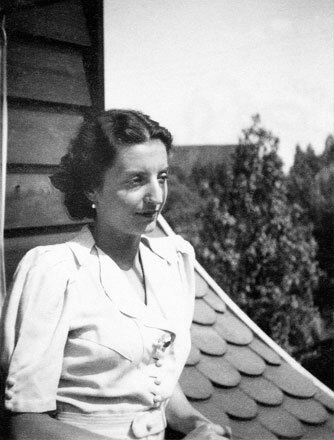 Before the Second World War, Lauer was, among other things, a member of the board of the Vienna Anthroposophical Society and accepted the job without informing Elisabeth’s mother, who was against anthroposophy. Rudolf Steiner’s books opened up a new and fulfilling way of thinking for Elisabeth. Several years later, after reading a paper by Rudolf Steiner, she decided to become a beautician. But you will find out more about that in section 5. In the year that Elisabeth’s father passed away, another life-changing event occurred. 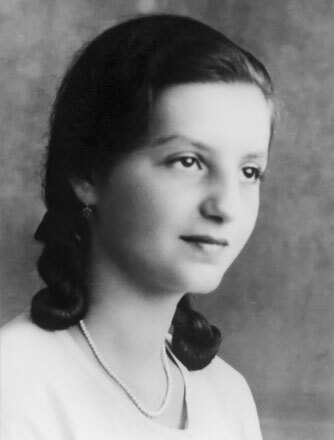 The 20-year-old Karl Sigmund (1909-2007) saw Elisabeth and her mother on the tram in Vienna and instantly knew that this was girl he had to marry. At the time, it was seen as improper for a man to speak to women or girls that he did not know without a good reason. As such, Karl Sigmund had to watch in silence as Elisabeth and her mother disappeared into a ministry building without knowing who she was. He began searching for Elisabeth and to find an opportunity to speak to her. On seeing her in a park with the sister of a school friend, Karl tried to make contact with Elisabeth via this friend. 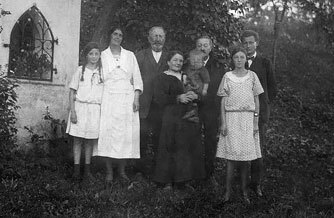 It took until 1931 for an opportunity to present itself: when Mrs Resch and her daughters took a summer holiday to the pilgrimage town of Maria Schutz, Karl took the opportunity to visit them and pass on greetings from a common acquaintance: his school friend. He was able to speak to his chosen bride for the first time when Mrs Resch sent Karl and Elisabeth to get water from the famous Maria Schutz medicinal spring. On route, Karl proclaimed his love for her and asked her to promise that she would marry him and no other. Of course, Elisabeth agreed; the couple had found each other. They were married in the Maria Schutz parish church on 10 July 1937. 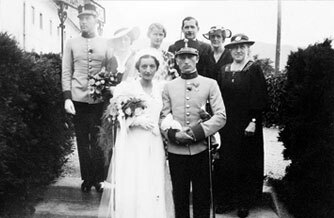 On 10 July 1937, Elisabeth and Karl Sigmund were married in the parish church in Maria Schutz, the town where they had got engaged in 1931. During Elisabeth Sigmund’s youth, it was regarded as uncouth for girls and women from good families to leave the house wearing make-up. Lipstick could only be worn at private parties or when going to the theatre in an elegant evening gown. 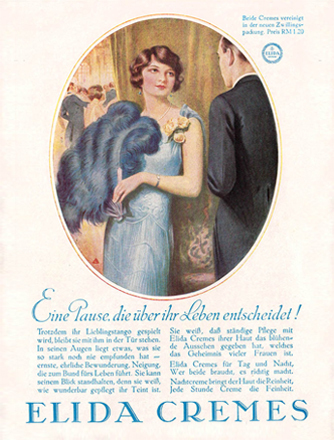 During her engagement, Elisabeth Sigmund nevertheless purchased a lipstick from her hairdresser for research purposes. This was a bright red mass of fat, packaged in a blue, metal sleeve with a slider. Even back then, she was already interested in make-up. While working with WALA, she therefore quickly encouraged the development of a range of make-up for Dr. Hauschka Skin Care (more about this in section 10). Even at the age of 99, Elisabeth Sigmund was never seen without make-up. Her favourite product was a rosè Dr. Hauschka Lipstick. With rose petals and kidney vetch as well as rosehip, almond oil, apricot kernel oil, jojoba, rose wax, beeswax, candelilla wax and carnaubau wax, this not only looks fabulous but also cares for the lips. 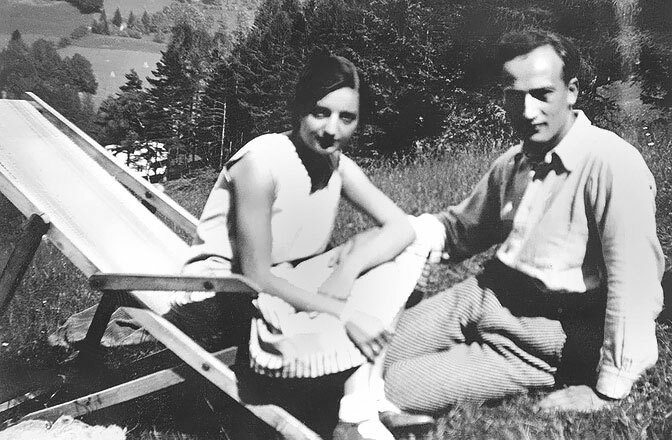 Karl and Elisabeth had a wonderful and perfectly relaxed six-year engagement with many happy hours spent together, for example at the theatre, at concerts or on trips to the countryside around Vienna. 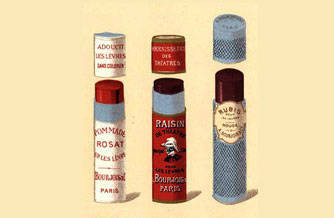 Lipsticks in the early 20th century. Quality standards were not yet what they are today. Even when she was young, Elisabeth Sigmund developed a great interest in medicinal plants. They became the most important component in her own natural cosmetics. It all started in her grandmother's garden. Elisabeth Sigmund doing one of her favourite pastimes: reading. Circa 1929. Elisabeth Sigmund’s grandmother Anastasia Pribik lived in the 12th district of Vienna in a house with a large garden in which she had planted a variety of flowers. When her granddaughter visited, she took her into the garden and zealously told her about the plants. Elisabeth was infected by her enthusiasm even as a child. When, years later, she was in her father’s study and discovered his herbarium, a book of dried and pressed plants with their German and scientific names, she studied this extensively and tried to find the plants growing naturally when on walks. Elisabeth found a neighbour with a flower nursery and asked a lot of questions as he was tending the flowerbeds. He knew a lot and taught her, among other things, how to recognise shrubs simply from their smell and how to cut them. At the time, Elisabeth started wondering whether gardening might be the right profession for her. Out of interest, she joined her mother on a visit to Neuburg monastery with its extensive gardens and training facilities. There, she realised that the work would have been much too difficult for her physically. She therefore initially stuck to dealing theoretically with medicinal plants, learning their scientific names and medical significance. Elisabeth Sigmund made it a habit to look more closely at the plants that lined the paths during walks and to determine what they were if possible. Circa 1929. Elisabeth Sigmund’s grandmother Anastasia Pribik, formerly Lukeš (1853-1939) was born in Mähren. To her right, Elisabeth’s mother Albina Maria Resch, born in Pribik (1889-1986). Kidney vetch (anthyllis vulneraria) is one of main plants used for Dr. Hauschka Skin Care. Throughout her life, Elisabeth Sigmund studied literature on medicinal plants and uncovered many forgotten treasures. For example, she discovered the kidney vetch (anthyllis vulneraria) as a skin-regulating ingredient for her facial care products. 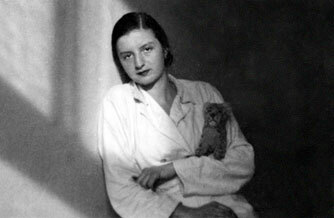 She incorporated this knowledge into her Dr. Hauschka formulations. 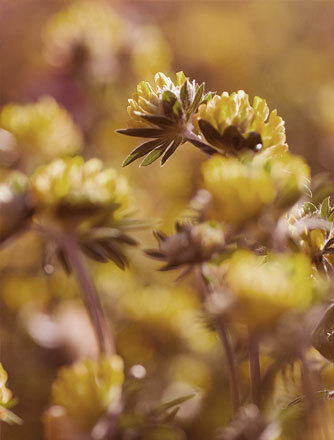 The yellow flowers of kidney vetch are one of the main plants in Dr. Hauschka cosmetics, found in a variety of facial care and make-up products because of their ability to restore harmony to the skin’s natural functions. Kidney vetch extracts manufactured by WALA using a special process are used. Even in her youth, Elisabeth Sigmund began making cosmetics by obtaining instructions from the family pharmacist. 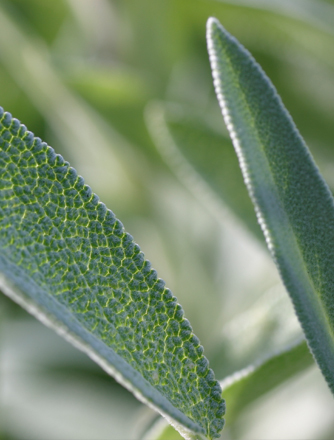 Sage (Salvia officinalis) moisturises the skin and has sweat-regulating, antimicrobial and strengthening properties. Elisabeth Sigmund’s playful journeys of discovery on her mother’s dressing table were soon driven forward by her inquiring mind. For example, she observed how the oily and aqueous phases of the Elida day cream that her mother used on her face separated out. When she opened the tube, there was an oily layer on the cream. Somehow, the pharmacist Paul Redtenbacher, who made the Hamamelis facial toner and Crème Céleste for the females in the Resch family using a recipe belonging to their grandmother Anastasia, realised that Elisabeth Sigmund had an extraordinary interest in cosmetics. He took her to the area of the pharmacy where he produced ointments, creams and facial toners among other things. There, he showed her how these were made and after a while, allowed her to mix them herself. 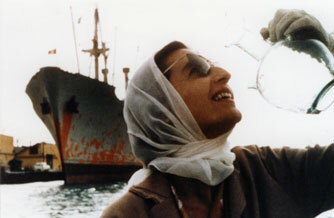 That is when she learned how an emulsion is created. Paul Redtenbacher aroused Elisabeth Sigmund’s interest in home-made skin care products with both a cosmetic and a nurturing effect. She was now able to put her knowledge of plants to practical use for the first time. Elisabeth Sigmund made her first attempts to create products at home using sage tea, which relieves inflammation. She also placed rose petals in water and added essential rose oil because the aqueous extract was not as strongly perfumed as she had hoped. Her mother mistakenly saw this curiosity as vanity and tried to stop her daughter from experimenting, but to no avail. Elisabeth Sigmund’s interest in developing her own skin care products became increasingly strong. “I didn’t like the creams that were for sale so wanted to make my own, with ingredients that pleased me”, she once explained. While still at school, Elisabeth and her best friend Wilma took a cosmetics course in Vienna offered by the Geneva-based cosmetics manufacturer Tokalon. Elisabeth Sigmund’s grandmother Anastasia brought the recipe for the “Crème Céleste” or “heavenly cream”, from her home town of Mähren. This face cream with almond oil and rose water is reputed to have been one of the beauty secrets of Empress Elisabeth of Austria-Hungary (1837-1898). When Elisabeth Sigmund developed the first range of Dr. Hauschka skin care products with WALA, the Crème Céleste acted as the model for today’s Dr. Hauschka Rose Day Cream, although the formulation of the latter is significantly more extensive. 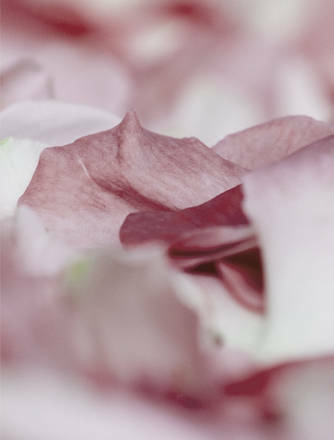 Extracts of rose petals and wild rose hips nurture and balance the skin. Shea butter, rose petal wax and avocado oil protect and help retain moisture. Extracts of marsh mallow and St. John’s wort soothe redness, hydrate and fortify. After passing her secondary school leaving examinations, Elisabeth Sigmund started to study medicine but then decided to become a cosmetician. This came as a severe disappointment to her mother. 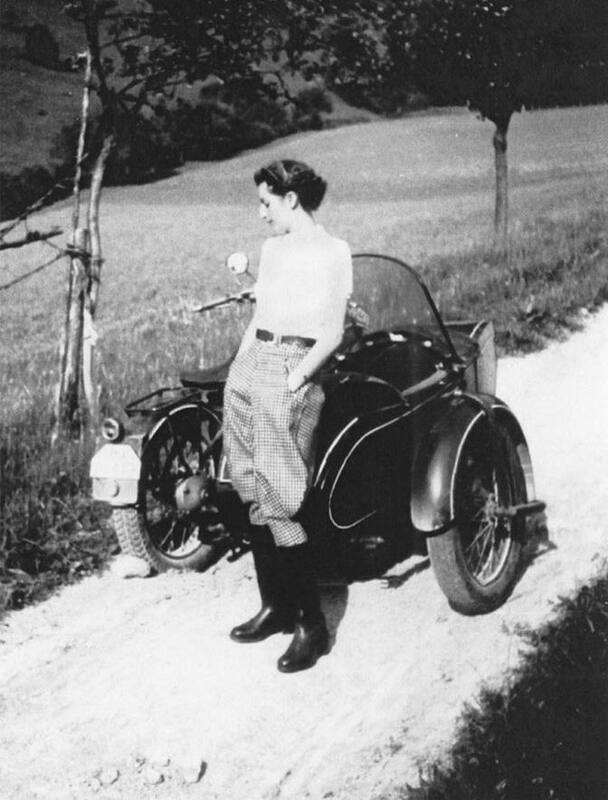 Elisabeth Sigmund rode her motorbike to convent libraries outside Vienna, where she found extensive knowledge about nurturing plants; circa 1935. 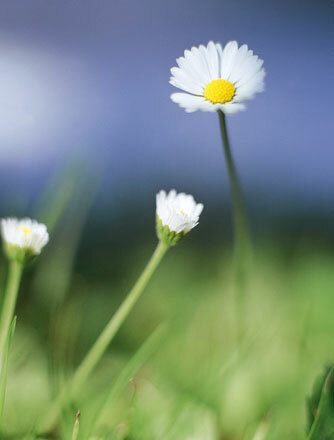 Daisies (Bellis perennis) are well suited to the care of oily and blemished skin. In combination with other plants it frees blocked pores, intensifies the metabolic activity of the skin and makes it more receptive to other conditioning substances. In addition to being involved in theatre, aesthetics and nurturing plants, Elisabeth Sigmund was also interested in medicine. 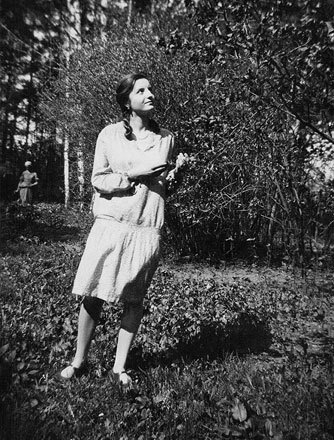 She discovered this interest while on holiday with her family in Waidhofen an der Thaya (Lower Austria) in 1927. During their stay, she accompanied the local priest, Father Eßmeister, on his visits to remote, impoverished farms in his parish and helped him provide medical care to the cottagers (small farmers) who lived there. The experiences left her feeling so fulfilled that she wanted to become a doctor. 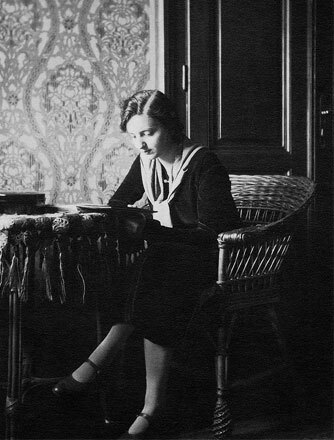 After training to be a Red Cross nurse in 1933/34, Elisabeth Sigmund studied medicine for two semesters at the University of Vienna before having to take time out as a result of illness. During this enforced interruption to her studies and after reading Rudolf Steiner’s paper “The Arts and their Mission”, she decided to become a cosmetician. Steiner said that a thing of beauty is something that reveals its inner being in its outer appearance (GA 276)*. With the help of these words, Elisabeth Sigmund’s love of both nourishing plants and aesthetics came together to form the passion for cosmetics that shaped her life. From then on, Elisabeth Sigmund only attended selected medical lectures at university and began to devise her own cosmetics studies. There was no independent training to become a cosmetician. 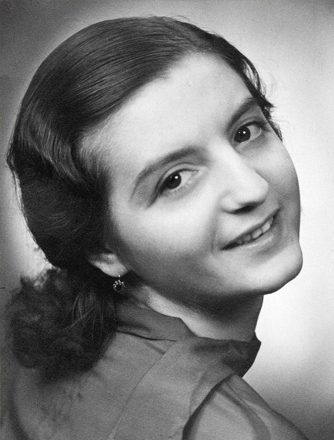 She attended courses at large cosmetics firms and worked at the Vienna cosmetics institute, Pessl, where she discovered all of the disadvantages of conventional treatments. She observed how facial massages weaken the facial muscles and how cleansing the skin with Vaseline blocks the pores. She realized that it was time to start creating her own skin care products based on nurturing plants. Elisabeth Sigmund gained great knowledge of nurturing plants with an effect on the skin by reading the chapters on skin diseases in old medical books. She obtained the medical books from the Vienna university and national library, where her uncle, Edmund Pribik assisted her greatly. As a library employee he was able to pick out books that were not normally available to the public. She also visited the libraries of many convents where old medical books were simply gathering dust at the time. In the years leading up to 1939, she also completed a course in a Paris cosmetics laboratory in order to learn the trade of cosmetics development. But what did Elisabeth Sigmund’s mother think of all this? She was extremely unhappy with the new path that her daughter had taken. Back then, for a girl from a good family to become a cosmetician was considered improper. As such, Elisabeth Sigmund was not allowed to mention to the profession she wished to pursue to her mother’s friends or acquaintances. But this did not stop her from following her dream. * Rudolf Steiner. The Arts and their Mission. Dornach, 9 June 1923. Dornach: Rudolf Steiner Verlag 2002; p. 91 et seq. Once Elisabeth Sigmund had decided on a career in cosmetics, she created her first serious cosmetic preparation: a face lotion based on a strong daisy tea that she made herself. She chose daisies because she found these meadow flowers described in a medical volume as a nourishing plant for women and for beautiful skin. With a little alcohol added, the tea improved her skin, which tended towards impurity at the time. Elisabeth Sigmund later expanded on this face lotion with other nurturing plants to create Dr. Hauschka Clarifying Toner. Daisy and nasturtium minimise the appearance of blackheads and blemishes, visibly refine pores and reduce excessive oiliness. Anthyllis balances skin for a calm, even appearance. March 1938: German troops march into Austria. 1 September 1939: the Germans invade Poland, starting the Second World War. 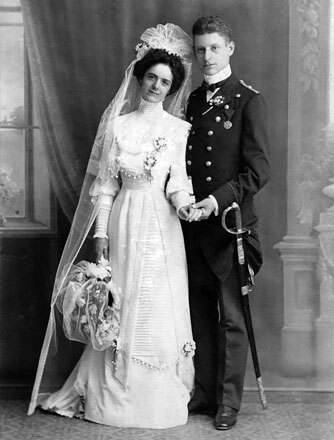 Elisabeth Sigmund’s husband Karl was also sent to war. After the end of the war, he was held prisoner by the Russians for two years. Following his release, the Sigmunds emigrated to Sweden but encountered unforeseen difficulties. After the war, Karl Sigmund converted his Citroën C3 into a delivery van and performed deliveries for the American and later Soviet occupying forces; 1945. 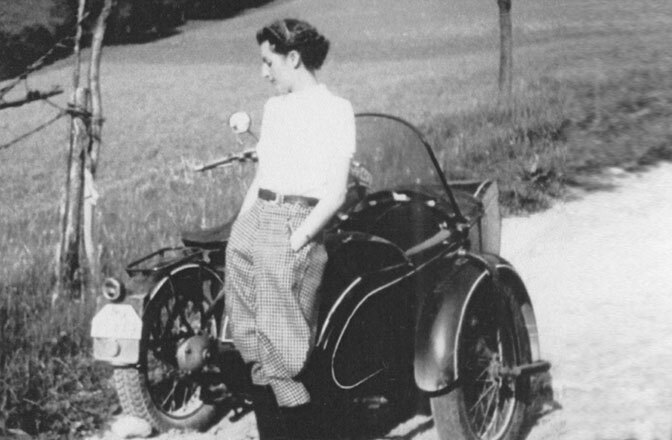 Elisabeth Sigmund at the start of the 1940s in Stuttgart-Vaihingen, where her husband was stationed. In peaceful times, Karl Sigmund had decided to become an officer because he saw the military as more of a diplomatic service acting in the name of peace. He now had to go to war as a captain, which involved frequent postings. 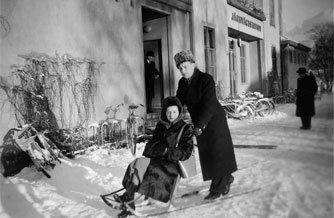 Whenever possible, Elisabeth Sigmund followed him within Germany and worked as a Red Cross nurse. Toward the end of the war, Karl Sigmund was stationed in Rudolstadt, Thuringia, for a long time. The Sigmunds were able to move into a small tea house that was part of the baroque-style Heidecksburg residential palace. It was also called the Schillerhäuschen because Schiller had temporarily lived there. To provide relief from everyday life during the war, Elisabeth Sigmund arranged an artistic evening every second Thursday with selected guests, including many creative artists. This group increasingly became an intellectual and social home for those who did not want to put up with the Nazi regime and the war. On 13 April 1945, the American forces took Rudolstadt, accompanied by severe aerial bombardments. On that day, Elisabeth Sigmund was working as the head Red Cross nurse in the basement of the Heidecksburg. At the time, Karl Sigmund was in Böhmen, where he received a telegram on 8 May 1945 telling him that the war was over. He ran on foot to Rudolstadt. On the way, he was briefly captured by the Americans but released again once they had determined that he was not a Nazi. 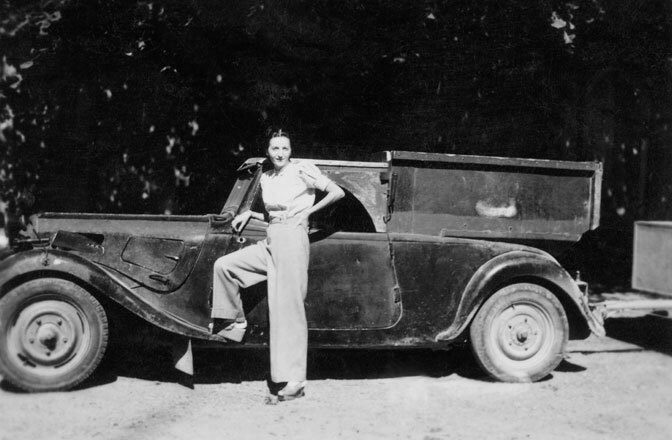 After his arrival in Rudolstadt, Karl Sigmund began to offer a courier service using a converted Citroën but was imprisoned by the Soviet secret police in the Weimar city jail without reason. Elisabeth Sigmund tried to arrange his release with the Russian police. He was only set free after two years. During this uncertain period of waiting, the contacts from her Thursday gatherings proved to be a real help to Elisabeth Sigmund. For example, one of them gave her the opportunity to work as second dramaturge and director’s assistant in the theatre in Jena. In 1947, after Karl Sigmund’s release, he and his wife had to leave Germany. Within the scope of repatriation, large numbers of people who had been living somewhere temporarily because of the war returned to their home countries. The Sigmunds moved to Salzburg, where they prepared their plan to move to Sweden. The idea came from Karl Sigmund’s Swedish foster aunt Signe, with whom he had spent two years of his childhood in Stockholm. He remembered this as a wonderful time. 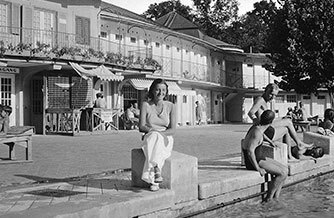 After the end of the Second World War, aunt Signe convinced him to build a new life in Sweden with his wife, saying that she had enough funds to help them with this plan. In 1948, the Sigmunds received their entry permit and sold all their remaining property to finance the sea journey. The Sigmunds arrived to stay with 59-year old aunt Signe without a penny. But contrary to what she had said, she was not in a position to help them. Her husband, who had been a bank director, had embezzled money from the bank and spent four years in jail. He had since died and aunt Signe was living off a small pension in a one-room apartment outside of Stockholm. The Sigmunds had had no idea of her situation and both felt that they had been deceived. However, they did not have the funds to immediately return to Austria and so, they stayed. Karl Sigmund took the first jobs that came along as a labourer – initially without a work permit. In 1950, he found a job at a large driving school in Stockholm. On 1 March 1965, he took over management of the driving school. In the meantime, Elisabeth Sigmund learned Swedish and began studying cosmetics again. 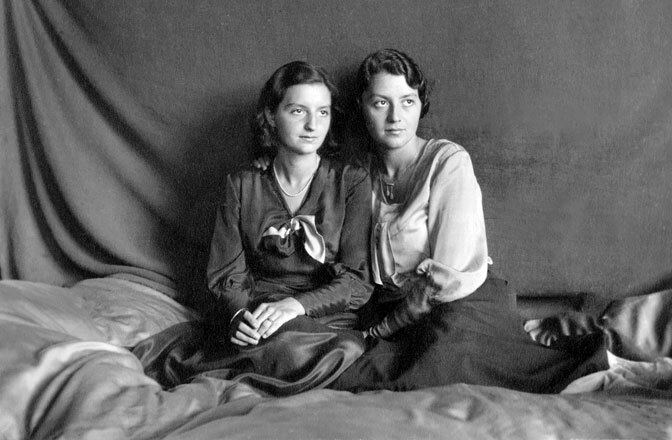 Foster aunt Signe (left) and Elisabeth Sigmund, circa 1949. After the First World War, aunt Signe and her husband Ulle (a bank director) took in Karl Sigmund, who was about ten years old at the time, as part of the evacuation programme. The young Karl spent two heavenly summers with the couple. Even during the war, Elisabeth Sigmund kept studying medical books in libraries. After she found a chemist in Berlin who sold plants on the black market, she made cosmetics and gave them to the officer’s wives that she met to test. Elisabeth Sigmund initially created products individually for each customer. Later, she developed a fixed basic range; 1950s. Elisabeth Sigmund opened her own beauty salon in Stockholm. She treated her customers using natural cosmetics that she had made herself using formulations involving WALA medical ampoules – with astonishing results. A sage bath essence was the only one of her products that Elisabeth Sigmund sold professionally in Sweden. It was called ‘Balett fot-elixir’ and was intended as a foot bath for dancers. Elisabeth Sigmund’s Salong för Skönhetsvård beauty salon. In the days of King Sigismund III. Wasa, church services were held in her treatment room. An altar probably stood on the platform where Elisabeth Sigmund positioned her treatment table; 1950. Elisabeth Sigmund’s development concepts are still reflected in Dr. Hauschka skin care products today. One of the company’s specialities is oil-free night care products. By conducting tests in which she applied cream to only one half of her face overnight, Elisabeth Sigmund determined that the skin to which she had not applied cream looked fresher the next morning. In Sweden, she used this finding to develop her concept of oil-free night care. Skin that can breathe freely during the night can regenerate itself better. Dr. Hauschka night care is still oil free today. After cleansing and toning, the third step is revitalisation with Dr. Hauschka Night Serum or Regenerating Serum. Once the Sigmunds had established themselves in Sweden, Elisabeth Sigmund finally had the time she needed to work on her cosmetic products and build up a fixed range. To her, skincare was both a form of therapy and a kind of healthcare. Each formulation was therefore based on a nurturing plant with ingredients that affect the skin. Her products solely contained natural ingredients. Instead of using isolated active ingredients, Elisabeth Sigmund worked with whole plant parts. She did not develop her products for specific skin types, such as oily or dry skin, but instead assumed that everyone’s skin is able to find its way back to a balanced state using its own strength. She therefore talked about temporary skin conditions that have the potential to change. Her cosmetics were intended to support this change by triggering the skin’s own regenerative powers. It was not so easy to get good quality ingredients such as beeswax, natural plant oils, almonds, natural essential oils, silk or dried plants for the formulations. Elisabeth Sigmund ordered most of these from shops in Germany and Austria where she was sometimes able to purchase organic products. As a result of her interest in Rudolf Steiner, which had taken her in the direction of biodynamic agriculture, this criterion was important to her. She got fresh plants, such as moisture-rich liquorice roots, from a Swedish gardener. She ordered WALA medical ampoules, which she had found out about from her anthroposophic doctor in Stockholm, directly from WALA in Eckwälden. Elisabeth Sigmund gave her acquaintances the cosmetics she had made to test. When they noticed how well the cosmetics worked for them, they offered to pay Elisabeth Sigmund to treat them. Over time, it became too time-consuming to visit all of her clients at home. 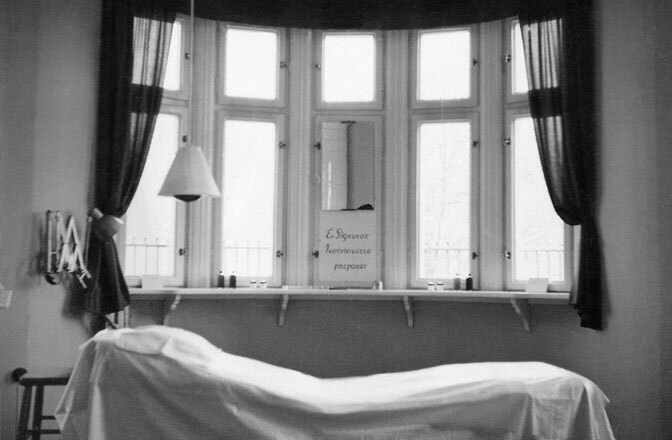 Therefore, in the 1950s, Elisabeth Sigmund opened the Salong för Skönhetsvård (literally meaning ‘beauty salon’) in Stockholm. Elisabeth Sigmund’s first fixed basic range, which she used to provide treatments in her beauty salon, consisted of a rose cream following her grandmother’s recipe as well as another face cream, a face tonicum, a cleansing cream with ground almonds, a face mask, a sage bath essence, silk powder, a skin treatment and various facial oils. Karl Sigmund constructed small pieces of production and filling equipment. For example, he attached a mixer with a crank arm to a bowl for stirring creams. He also converted a small bucket into a filling station for face lotion by installing a hose with a tap just above the bottom. The products, which contained no preservatives, could be kept in the refrigerator for about a month. For that reason, Elisabeth Sigmund only produced small quantities. 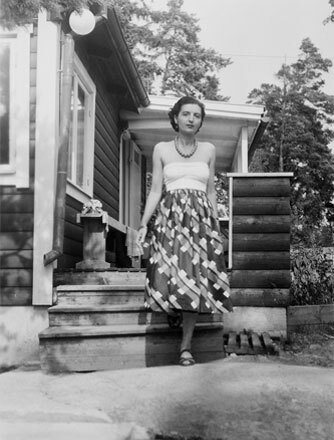 Elisabeth Sigmund in the 1950s in front of her house in Sweden. Elisabeth Sigmund produced small quantities of her own natural skin care products in her Stockholm cosmetics studio. She noted down her formulations on index cards and used a set of precision scales to accurately weigh out the necessary amounts of natural ingredients. In her Stockholm beauty salon, Salong för Skönhetsvård, Elisabeth Sigmund developed a holistic method of skin care treatment. This began with a foot bath. 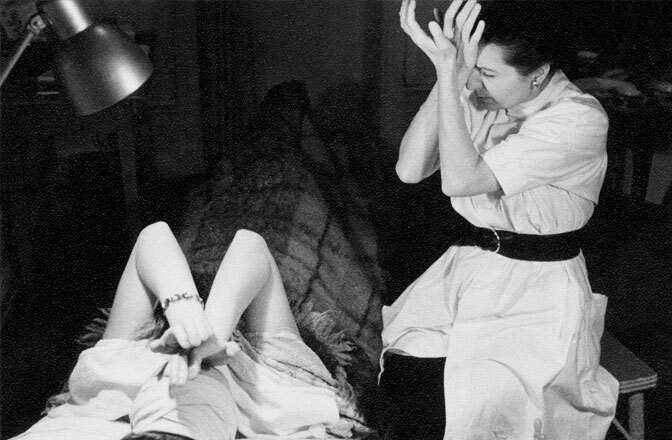 Elisabeth Sigmund helping a customer with facial exercises, which can balance out the facial features; in the 1950s. 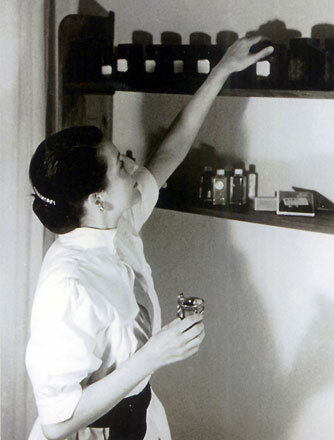 In her cosmetics studio, Elisabeth Sigmund developed her own holistic treatment concept, which included elements of lymph drainage based on the techniques used by Vodder; in the 1950s. When developing her skin care treatment, Elisabeth Sigmund addressed the needs of her clients, who she wanted to feel good from head to toe and to be able to relax. Because many women have cold feet, she began the treatment with a warming foot bath, to which she added her sage bath essence. She took the time to build up good relationships with her customers. An appointment lasted approximately 2 hours. During this time Elisabeth Sigmund often had private discussions with the customers. During these consultations, the causes of certain skin conditions repeatedly came to light, for example, intolerances or incorrect nutrition. Many new customers visited the Salong för Skönhetsvård for a facial massage. 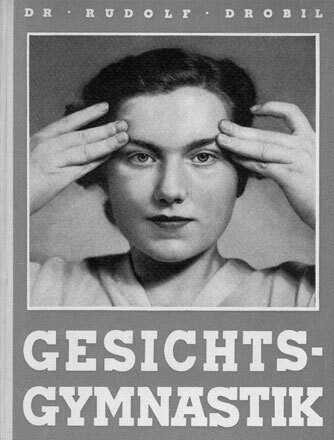 When Elisabeth Sigmund worked at the Vienna cosmetics institute, Pessl, in the mid-1930s, she noticed that facial massages allowed the facial muscles to slacken and coarsened the skin structure. 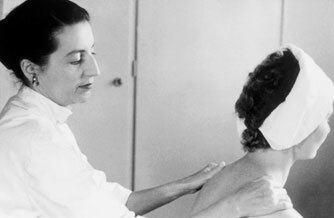 She therefore developed lymph stimulation as an alternative treatment for her Stockholm beauty salon based on the manual lymph drainage technique developed by Dr Emil Vodder (1896–1986) and his wife Estrid (1898–1996). The lymph system removes metabolic waste products, toxins, pathogens and excess tissue fluids but can become blocked. Lymph drainage removes the blockages and gets things flowing again using pumping, circling, flat movements. “There are two kinds of beauty – inner and outer.” This quote from Elisabeth Sigmund expresses, among other things, how a person’s inner attitude can influence their facial features. Wrinkles are created through a certain facial expression. Sadness or joy is reflected on a person’s face. 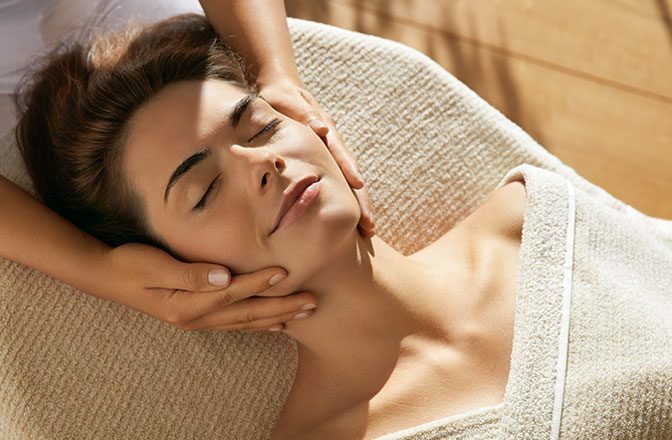 Using facial exercises, which you can still learn from Dr. Hauschka estheticians today, Elisabeth Sigmund balanced out one-sided muscle tension. Targeted activation of individual facial muscles increases their tone and strengthens the living tissue, triggering its natural activity. Wrinkles can be smoothed out. The facial skin feels fresher as a result of better circulation. The lymph system is not a circulatory system, rather it consists of a branched system of blind-ended lymph capillaries. During lymph drainage, it is therefore important to stimulate the lymphs in the correct direction so that they are able to flow. During an intensive working phase with Dr Vodder in Copenhagen, Elisabeth Sigmund learned the correct hand movements for this. She was then able to offer lymph stimulation as a treatment in her salon. She noticed that the customers relaxed and the tissue loosened. It was too much for some of her customers with particularly sensitive skin for each stroke to be done by hand, so Elisabeth Sigmund used a brush for some of the stimulating strokes. 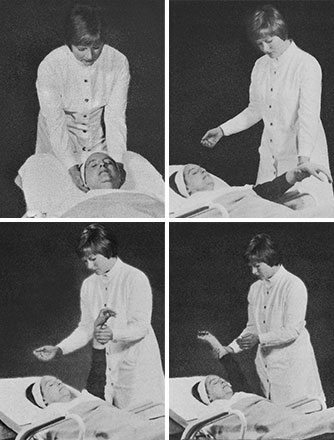 To this day, this method of lymph stimulation using both brushes and hands forms the heart of Dr. Hauschka’s treatments, which are on offer around the world from Dr. Hauschka estheticians. 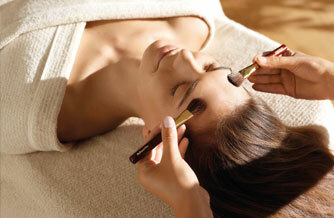 Lymph stimulation with brushes remains at the heart of Dr. Hauschka treatments. As her customers often arrived tense and with cold hands, Elisabeth Sigmund supplemented her cosmetics treatments with relaxation exercises. She loosened up the head and arms, stroked the hair and massaged the earlobes; in the 1950s. 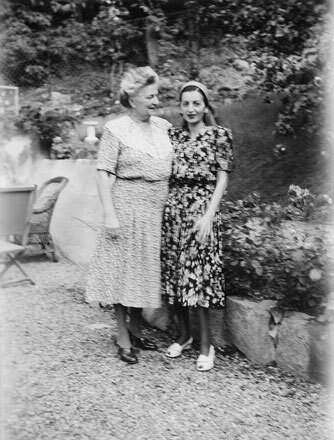 Elisabeth Sigmund with a dealer who is selling supari, a mixture of different plant ingredients that aids digestion. A spoonful is chewed after a meal; 1961/1962. 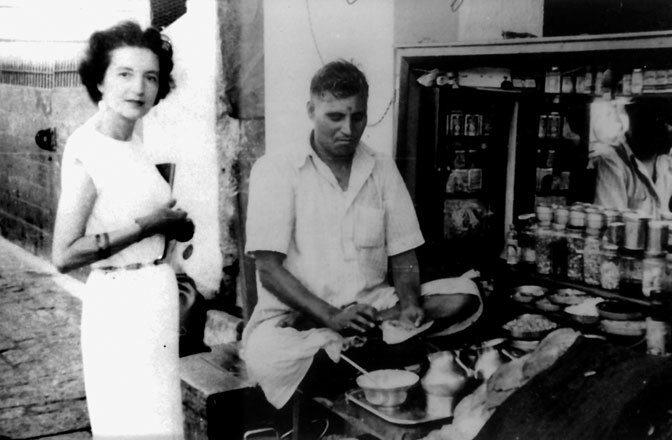 In 1961, Elisabeth Sigmund took a one-year study trip to India. On her return she brought with her new knowledge about nurturing plants with effective cosmetic results. 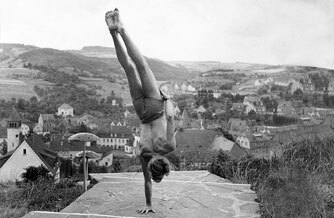 Hasse, the son of Elisabeth Sigmund’s friend, studied yoga intensively in Stockholm; 1950s in Sweden. Elisabeth Sigmund watching a snake charmer, who deceives his spectators with a simple trick. As soon as the basket is opened, the snake rises up with oscillating movements. 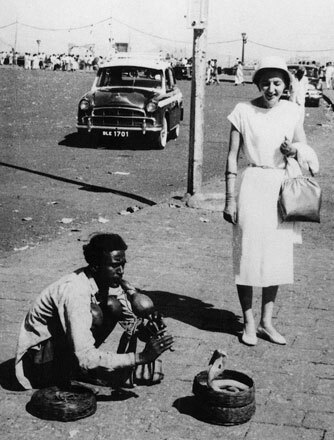 The snake charmer simply follows this natural movement; 1961/1962. The ayurvedic doctor, Dr. Kaura, taught Elisabeth Sigmund a great deal about Indian plants, particularly about neem (Azadirachta indica), the holy Indian tree. Neem extracts have been used in India for centuries due to their anti-inflammatory and moisturising properties. 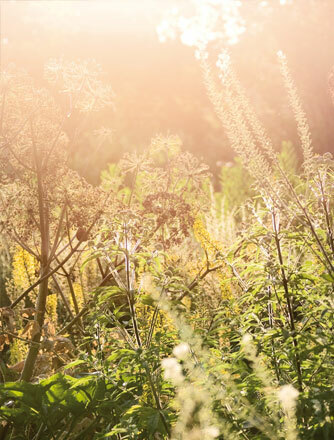 As yet unknown in Europe at the time, Elisabeth Sigmund later used this nurturing plant in the formulations for Dr. Hauschka Revitalising Hair & Scalp Tonic, Strengthening Hair Treatment, Neem Nail & Cuticle Oil and Clarifying Day Oil. This street seller advised Elisabeth Sigmund to use camphor instead of sage in a foot bath; 1961/1962. At the beginning of the 1960s, it was unusual for a woman to travel alone. Elisabeth Sigmund was given the opportunity to travel to the then uncommon destination of India without her husband, who was working fulltime, by Hasse, the son of a friend who had intensively studied yoga in Stockholm. While he was furthering his knowledge of yoga in India, Elisabeth Sigmund was able to visit him. She travelled to New Delhi and Mumbai among other places and spent many hours in the Mumbai University library, where she found books on nourishing plants and other natural materials with an effect on skin that could not be obtained in Europe. Dr Kaura, an Indian doctor in Mumbai taught her a great deal about ayurvedic medicine. In addition to her theoretical work, Elisabeth Sigmund investigated the Indian cosmetics market and came across packages of ayurvedic herbs with poetic advertising: “If you use this cream regularly you will become as bright and beautiful as the fullmoon.” She also came into contact with products that are damaging to the skin, for example a day cream named Himalayan Snow, a bleaching cream that could result in unsightly eczema, as Dr Kaura informed her. Once she had run out of her own cosmetics, Elisabeth Sigmund produced cosmetics adapted to the Indian climate. For example, she could not get any sage so instead produced a foot bath using camphor. She also made a rose cream for Dr Kaura’s wife. She found the ingredients for her skin care products in a quarter of Mumbai where she was able to buy plants, beeswax and essential oils. A millionaire who was an acquaintance of Dr Kaura’s offered Elisabeth Sigmund the chance to open a beauty salon in Mumbai. He said that he would send plenty of customers her way and in two years she too would be a millionaire. He would also find a job for her husband. Elisabeth Sigmund thanked him for the offer. The year spent in India had been very important to her and she had learned a lot, but one year was enough. It was not somewhere she wanted to stay forever and build a new life. Elisabeth Sigmund and Hasse returned from India on a freight ship. It took four weeks to reach Venice, from where Karl Sigmund picked them up in his car; 1962 in Beirut. 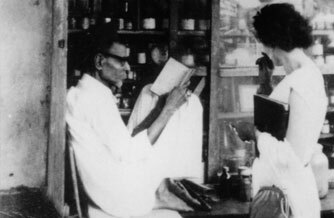 Elisabeth Sigmund, co-founder of Dr. Hauschka Skin Care, took a one-year research trip to India from 1961 to 1962. She was given this opportunity by the son of a friend who was studying yoga in India. Elisabeth Sigmund learned how colourfully different India could be (and still is today). She visited temples and observed the varied street life. In the eyes of the Indians, she was an exotic stranger with white skin. Dr. Kaura taught her a great deal about ayurvedic medicine. In 1971, Elisabeth Sigmund began teaching cosmeticians the special treatment method which she had developed and tested in her beauty salon in Sweden. 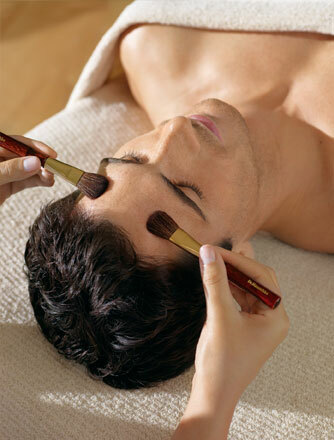 Lymphatic stimulation, performed with hands and brushes, is still a focal point of all facial treatments. Even today, Dr. Hauschka treatments for the face and body still begin with a foot bath. There are now around 800 natural Dr. Hauschka estheticians working in Germany, with an additional 800 around the world. Qualified cosmeticians receive further training to become Dr. Hauschka estheticians directly in Eckwälden. 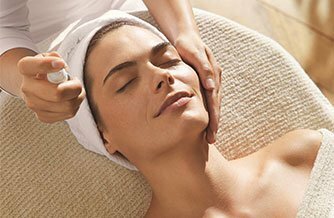 In addition to the Dr. Hauschka Classic Treatment, they also offer many variations and a holistic body treatment. 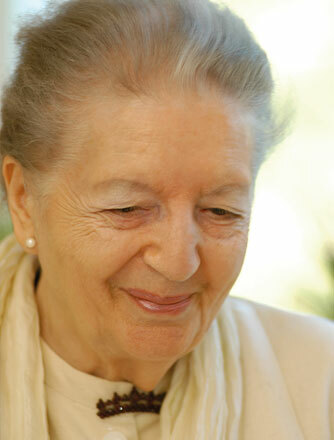 The Dr. Hauschka treatment is still based on Elisabeth Sigmund’s methods. 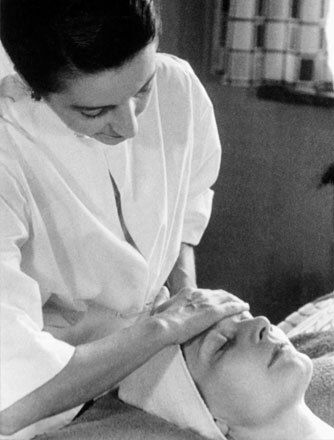 Anneliese Horn, the first ever Dr. Hauschka esthetician, treats Elisabeth Sigmund. Pictures from the training brochure, ‘Vademecum for cosmetics practice’, probably from 1974. Wrapped up warmly and with good circulation is the best way to enjoy Dr. Hauschka products. Initially, Elisabeth Sigmund did not actually want to train others to perform the skin care treatments with lymph stimulation and facial exercises as she was worried that the trainees could use what they had learned incorrectly. Finally, the cosmetician Anneliese Horn talked her around. 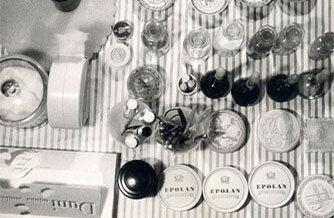 In 1970, Anneliese Horn completed a cosmetics course in her home town of Stuttgart. After many months of training in conventional cosmetics, she left the course with rosacea, a skin disease. Her anthroposophic family doctor had heard about the new ‘WALA skin care’ and recommended that if she wanted to work as a cosmetician, she should use this. Anneliese Horn got in touch with Elisabeth Sigmund through WALA. After thinking about it for a few months, Elisabeth Sigmund agreed and trained Anneliese Horn as the first ever Dr. Hauschka esthetician in January and February 1971 during several weeks of one-on-one lessons. As Dr. Hauschka Skin Care was still little known in the early 1970s, Anneliese Horn’s beauty salon was slow to take off. Elisabeth Sigmund therefore suggested that she should go to trade fairs and conventions for WALA and give presentations on skin care at health food stores. 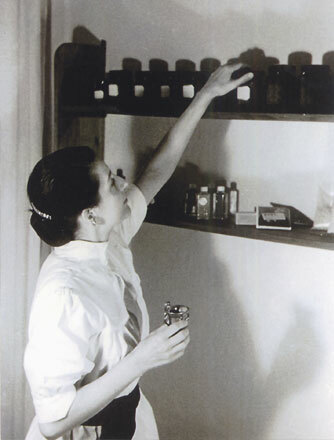 After Elisabeth Sigmund had trained several more cosmeticians, she also started referring interested candidates to Anneliese Horn, who took over the Dr. Hauschka esthetician training from 1975. Stroking movements on the head and neck, arms and hands and legs and feet relaxes most people. 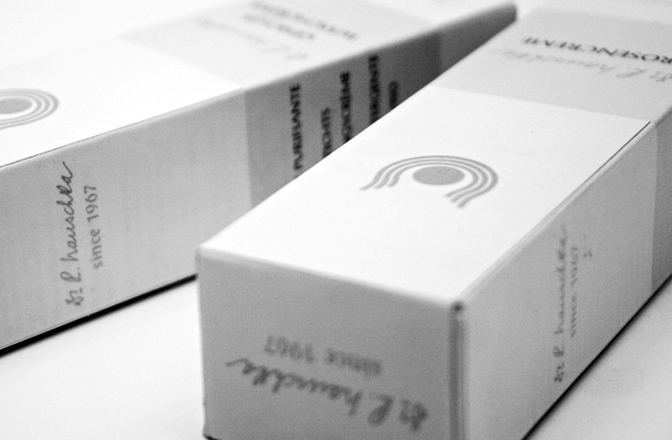 The set-up work had been done, Dr. Hauschka Skin Care had established itself and many processes had become routine. After the Sigmunds both retired from active professional life at WALA, Elisabeth Sigmund continued to pass on her knowledge about skin care in both presentations and writing.